As the art capital of the United States, New York City has some of the most recognizable and influential works in art history. With so many museums, galleries, and exhibition spaces to visit, it’s impossible to see it all unless you’re a local; however, if you know exactly where to look, you may be able to catch some of the world’s most iconic works of art right here in NYC. Vincent van Gogh’s iconic masterpiece is easily one of the most visited and photographed works of art at MoMA. A member of van Gogh’s nocturne series, it’s a companion piece to his work Starry Night over the Rhone (1888). The painting has numerous interpretations, which is why it continues to be one of the most captivating works of all time. Originally purchased for only $800, this painting was moved from Paris to New York. It’s one of the most visited works at the Metropolitan Museum of Art and one of the most popular paintings by Vermeer, second only to The Girl with the Pearl Earring (1665). Painted in the Baroque style, this piece harkens the golden age of Dutch paintings. Commemorating one of the most memorable moments of the American Revolution, Leutze created this oil-on-canvas painting in Germany before it was brought over to the United States after changing ownership several times. After the terrorist attacks on September 11th, a Metropolitan Museum of Art security guard glued a picture of the Twin Towers to it. 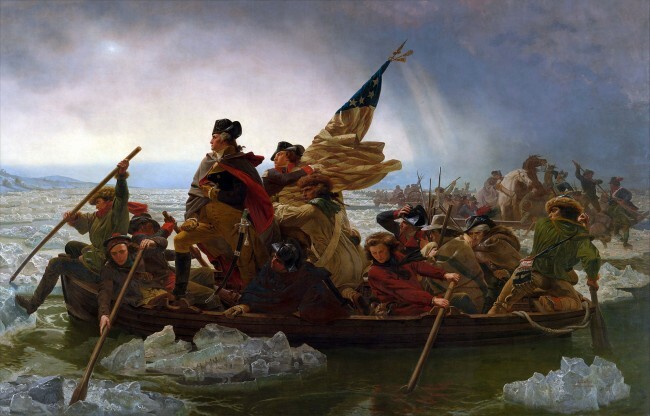 Famous for its striking patriotism, this painting remains both controversial and iconic. 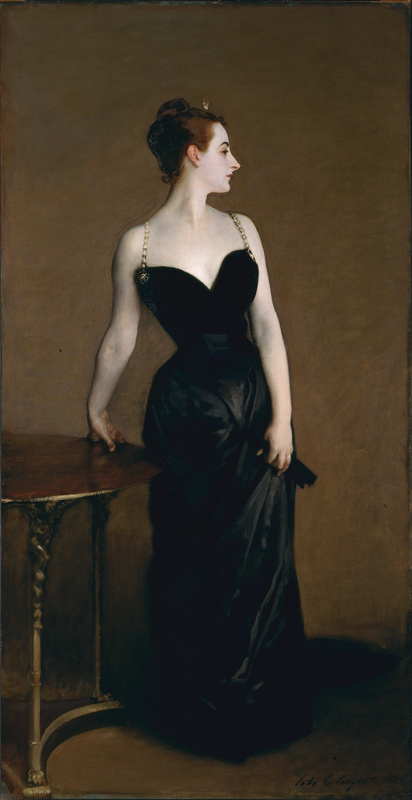 John Singer Sargent is well known for his portraits, but none have left such a lasting impression as his Portrait of Madame X. While this famous painting attracts an untold number of visitors to the Met today, it was originally the subject of scandal as Madame X was thought to show too much skin. Consequently, Sargent’s career was relatively unsuccessful in France, though he found fame as an artist in America and Britain. 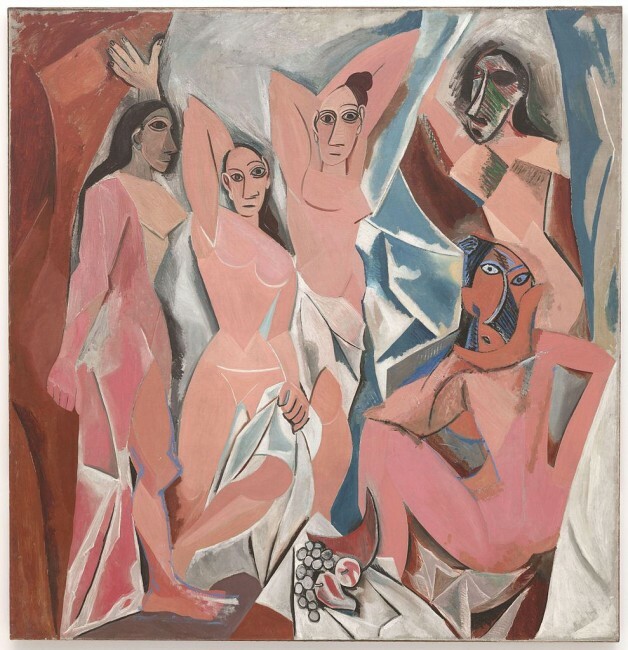 Pablo Picasso changed the art world with his incredibly innovative vision of the human body. The subjects of this world-famous painting are five women from a brothel in Barcelona; consistently inspired by the odalisque, this work reflects a new way of perceiving themes of femininity that were also common amongst his contemporaries, such as Matisse and Manet. Considered one of the first purely abstract paintings, Kandinsky was afraid that the public would denounce the unusual aesthetic of Black Lines, which can be found at the Soloman R. Guggenheim Museum. However, he ended up becoming one of history’s most influential abstract artists. 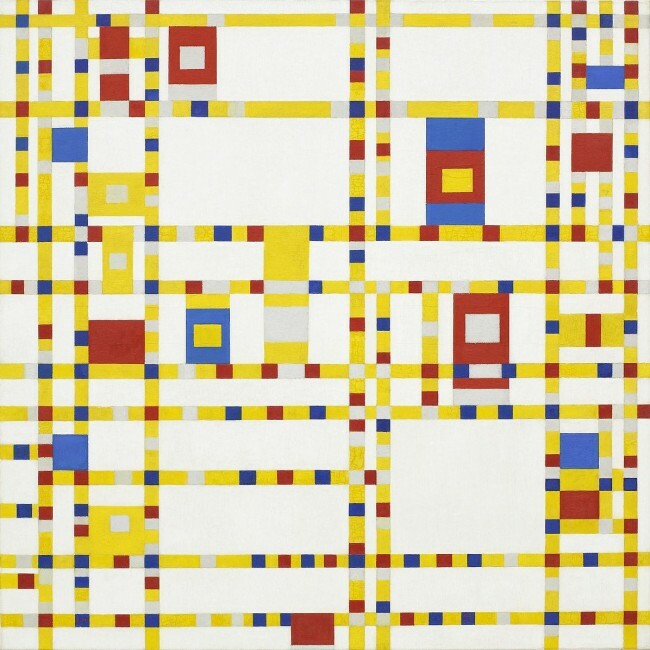 A homage to New York City, Mondrian used lines to demonstrate a musical score (specifically jazz) and the grid of the city through visual art. Originally purchased for only $800, the owners later donated the artwork to the Museum of Modern Art, where it remains today. One of a series of paintings Monet completed at his home in Giverny, Monet’s outstanding canvases occupy an entire gallery at the Metropolitan Museum of Art. Several of Monet’s iconic paintings are exhibited throughout New York City (Monet’s work and his influence can also be found at the MoMA, the Guggenheim, and the New York Botanical Garden), but you can find some of his best, to include The Water Lily Pond, at the Met. Chagall was one of the first artists to depict surreal visions of a dreamscape, and his astute observations made him one of the most fascinating artists of the 2oth century. You can also see his stunning work on the ceiling at the Metropolitan Opera House in Lincoln Center. Wyeth did not originally receive much publicity for this painting, which was inspired by watching his crippled neighbor crawl across her family farm. Fostering an essence of magical realism, Christina’s World depicts the boundless strength of the spirit over the constraints of physicality. On view at the MoMA, Wyeth’s majestic creation is one of history’s most widely recognized works of art.